Zodiacal light is the reflection of the sun's rays on dust particles in interstellar space. It is a pale glow roughly in the form of a triangular cone. In Europe the best time to observe it is in March or April in the evening above the western horizon around one and a half hours after sunset. It can also be observed in September and October in the morning above the eastern horizon around one and a half hours before sunrise. 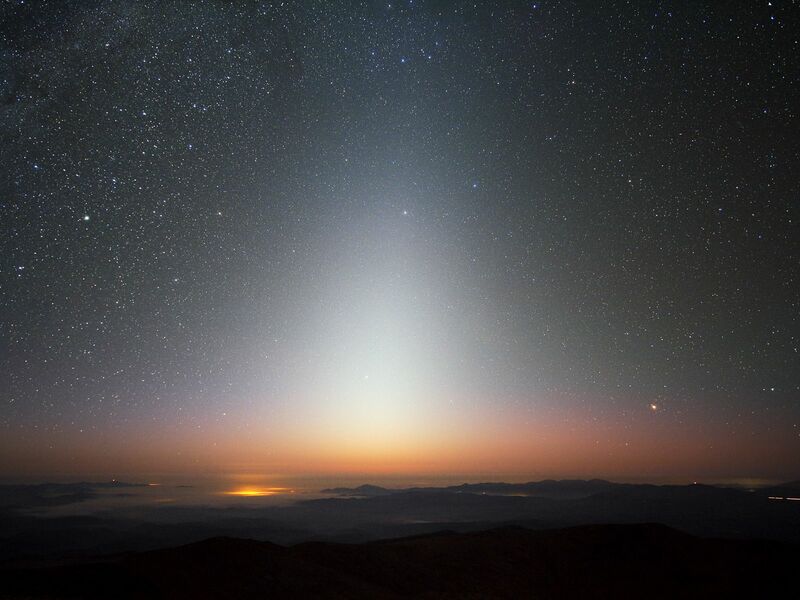 Zodiacal light is only visible on a moonless night with no parasitic lighting and in a very pure sky.